LG’s reputation for releasing timely software updates isn’t stellar, but it’s improving. Whether it comes early or late, you’ll want to get the update as soon as it’s available for your phone rather than waiting. 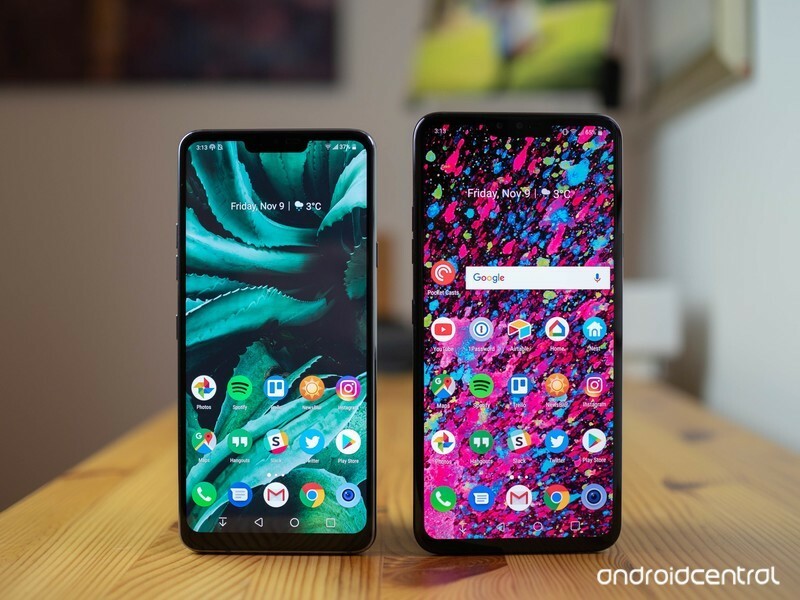 Your V40, G7, or other modern LG phone will alert you when new software is available, but it doesn’t always show up right away since LG rolls out the updates in phases, but you can check manually to hopefully speed up the process. Open your phone’s Settings and scroll down to System. Tap on Update center and then tap Software Update. You will either be prompted by an update or can tap Check now to perform a check. If an update is available, it will prompt you to download it. If you tap “later,” you can return to the update screen and start the process whenever it is convenient. An update could already be partially installed as well — you’ll be prompted to restart to finish the update process. Unfortunately, most of the time you check for updates there won’t be anything there for you. 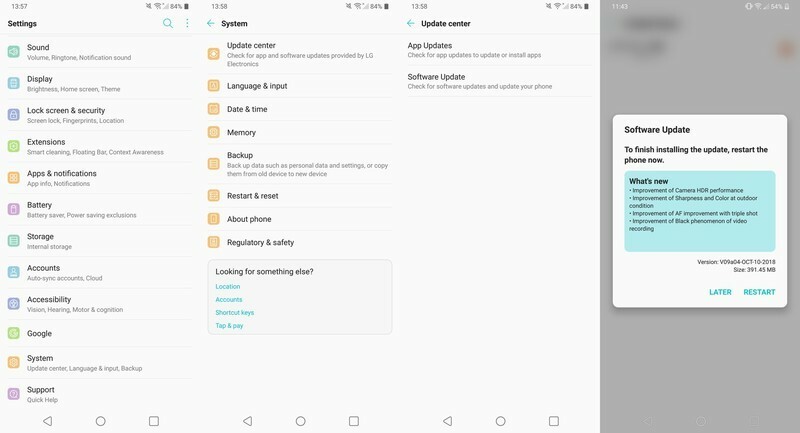 However, if you start to hear about other LG phones getting an update, and it hasn’t yet been pushed to you, you can follow these steps to check for the update manually. If you’re lucky, you’ll have some fresh software waiting to download! The V40 hasn’t been a hit like its competitors, but it still has a lot going for it. It has a big, beautiful screen is complemented by great hardware with all of the features and specs people crave. Plus, it has a triple camera setup that’s fun to shoot with. But the price is immense — get it on sale, if you can. LG’s early 2018 flagship is getting a little old but has received substantial price cuts that make it enticing under $500. The screen and hardware are still fantastic, the specs are capable, and the cameras are better than the competition at its new lower price. Previous articleFriday’s top deals: Bluetooth item trackers, USB-C chargers, and more!